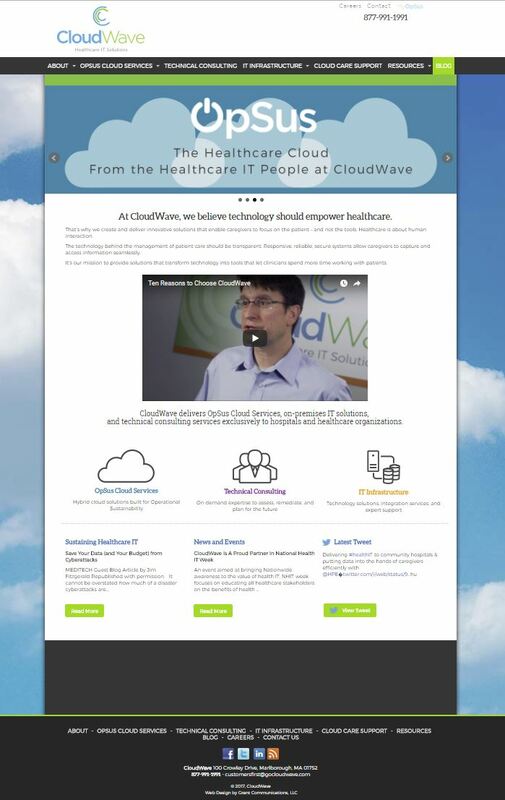 CloudWave Healthcare IT Solutions is in the important field of providing IT solutions to the healthcare industry. Originally, this website was built with WordPress, but, could not do what they exactly wanted. In comes, Sullivan+Wolf Design, working for Grant Communications. We have experience in WordPress website conversions and provide Mission Specific CMS. Their new Article Management System has all the features they needed, but, far simpler to use for their robust article generation. Bottom line, making an IT company happy, is no easy task, but, we're up for the challenge.